Some of the links below are affiliate links, which means Litterless may make a small commission on items purchased. -Tops for Ball and Mason jars. This is, of course, self-evident. Glass jars can be found for fifteen cents to a dollar at most secondhand shops, and replacing the lid with a shiny new version costs not much more than that. Jar lids can be found locally at grocery stores, food co-ops, and home and kitchenware stores, and they’re usually packaged without plastic in a cardboard box. -Gaskets for Le Parfait, Fido, and Weck glass jars. Often, I’ll see a beautiful glass wire bale jar with a gasket that looks like it’s from 1980. Rubber gaskets only last so long before they start to ossify and crack, but replacements are fairly affordable. You can find Le Parfait gaskets here, Fido gaskets here, and Weck replacement gaskets here. (Be sure to carefully check the size before ordering). -Lids for glass Pyrex containers. The lids for these are often just plain old missing from thrift store shelves, but when we had an epiphany that we could buy the bases secondhand and then just replace the lids, we hopped online that very day to order a few (found here). The lids alone are not as inexpensive as you might think, and are often only available for purchase in packs of two rather than one. However, buying new lids is still less expensive than buying a new lid and a new container - plus, you can feel virtuous knowing the glass base is secondhand. 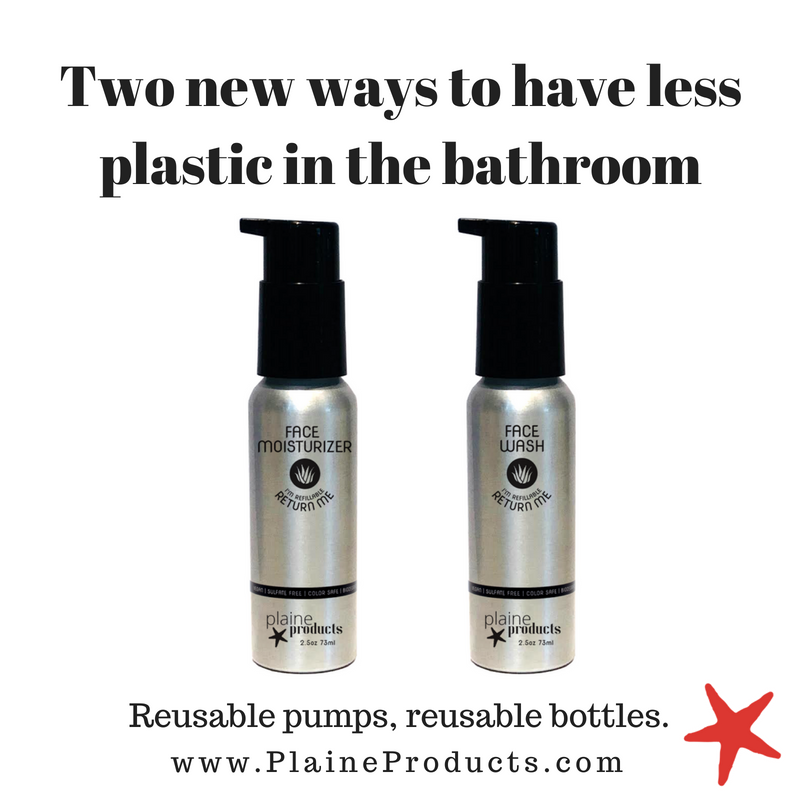 -Lids to water bottles and coffee mugs. At a local secondhand shop a few months back, a friend and I found not one but two bkr glass water bottles and a glass-and-cork KeepCup, all without lids. (We think a zero waste fairy left them for us). I recently hopped on the bkr site and purchased a new lid for my favorite not-new, but new-to-me, water bottle. -Other things. If you’re not sure whether replacement lids are sold separately, take out your phone right there in the aisle and check. They’ll often be on the manufacturer’s site, under “accessories” or “replacements.” It’s also prudent to make sure that the size and shape of lid you need is still being sold, but if you want to take a gamble and buy without researching prior to, chances are you’ll only be out a few dollars anyway. Other things you can top with a brand-new lid and call it a day? Secondhand glassware wins to share? When starting this series on a secondhand wardrobe, I put out a casting call, of sorts. I wanted to know what’s been the most challenging part of your wardrobe to tackle finding secondhand. Many readers wrote to me to say that finding nicer pieces to wear to work has been an issue; cotton t-shirts abound in the secondhand world, but what about finding silk blouses that don’t have someone else’s tiny grease spot on them? Seems like every silk button-down I pull off the rack at my favorite thrift store is in perfect shape except for that tell-tale blot on the front. No thanks. When choosing items of clothing that are a bit more polished, I apply the same criteria that I use for choosing everyday items, too. I prefer natural materials like cotton, linen, wool, and silk, which I think feel nicer on my skin and additionally aren’t made of plastic, like synthetic materials are. I like pieces that aren’t incredibly form-fitting or structured, which has the added benefit of making them more comfortable on a long day. -For workwear, many folks do choose to go with polyester because it’s a washable silk look-a-like (ish). If this describes you, then buying those pieces secondhand is important because it makes use of existing synthetic materials rather than using virgin plastics to weave new fabrics. And consider investing in a Guppyfriend, which enables you to wash your synthetic fabrics without allowing the microfibers that inevitably peel off them in the washing process to hit the water stream. -Check items out carefully before you purchase them. Because office items tend to be a bit more precious than the everyday, they’re often donated because a small stain that could easily be removed from, say, a cotton t-shirt, just wasn’t possible (or worth the effort) to remove from silk, or the wool sweater became peppered with just a few tiny holes. It’s worth a careful once-over to make sure that what you’re getting meets your standards before you shell out. Pictured above, a stain-free silk shirt, bought secondhand from ThredUp. -Arguably the biggest trope when talking about building a polished wardrobe for the office is getting things tailored. “Just tailor it!,” style blogs and books alike cry. I admit I am rarely on top of my tailoring game, but getting familiar with what can be tailored can help make your thrift searches more productive. Easy wins: replacing hideous buttons, hiking up hems, tapering in skirts. Harder: altering items to fit in the shoulder area, letting items out to make them larger. If you find something that would be perfect if if if an alteration is possible, check the store’s (or site’s) return policy: perhaps you can buy it, take it to your tailor for a second opinion, and simply return it if the alteration is a no-go. -The things that we wear to work are often less fun to think about than the things we wear for, well, fun. There are surely folks who get excited about a heel and a structured wool dress and a blazer – maybe that’s you – but it’s not really me. In that spirit, I’d suggest taking a targeted approach to searching for secondhand pieces. Instead of taking the time to scan the whole breadth and gamut of what’s out there secondhand, stick to searching for the brands you already know work well for you. It’s a time-saving strategy, sure, but one that also seems likely to turn up better results, too. -ThredUp: If I’m a broken record, so be it; this is one of my favorite spots to find secondhand clothing online. If you have a beloved mass-market brand you rely on to stock your working wardrobe, you can likely find clothing from it here: Ann Taylor LOFT, J. Crew staples (pencil skirts, sweaters, and blazers), Banana Republic, Zara, and more. For brands that don’t have ethical or sustainable credentials but that have been good staples for you, find them secondhand here as a better alternative to buying them new. I like that you can search items on ThredUp by brand, color, and size, and that each item comes with a detailed description of its condition (so you’ll know if there’s a concerning stain) and fabric composition, so you can eliminate synthetic pieces if you so desire. Above, a favorite dark-gray dress found on ThredUp. (And here’s a code you can use for $10 off your first purchase, if you’re interested). -Poshmark: Excellent for finding secondhand versions of pieces you’ve had your eye on at their original stores. Search here for pieces from Everlane, leather satchels from Madewell and Baggu, shoes from Nisolo, and lots more. -Consignment stores: When searching for secondhand office-wear in person, not online, look for spots in your city that are labeled “consignment” rather than “thrift.” These tend to stock nicer pieces in better condition than typical thrift stores. They’re a little more expensive – and certainly there are workwear gems to be had at traditional thrift stores – but the higher likelihood of finding something that will work makes the search less frustrating, I think. Pictured on top of the stack above, a silk Equipment sleeveless shirt found on a random consignment-store wander on my walk home from work last year. -The Real Real: Same principle as the physical consignment stores, above, these guys accept better-quality clothing than other online resale shops. Search here for silk shirts (like this creamy beauty from Everlane), suede boots like these, and lots more. -Etc. : It’s easy to get tired of clothes you wear often, and in the case of clothing you wear to work, it's easy to get tired of clothing that you may have never really adored in the first place. In that case, swapping clothing with friends – or simply making a mutual pact to share donation piles with each other prior to selling or donating – can be a source of gems. The cozy gray sweater above was snagged from my mom before she gave it away; it's become a simple, versatile favorite for traveling and winter evenings at home. -Amour Vert: Clothing made in the U.S. from sustainable fabrics, where possible. I'd recommend avoiding their cotton t-shirts, which are super-soft but pill quickly. Instead, search for basics like silk shirts and dresses, or shoes that are just the right amount of demure-meets-interesting. -Everlane: Responsibly made basics for both weekend and workday. Since it can be hard to find secondhand sweaters that aren't already pilly, I often turn to these guys when I need a new sweater or other wool items. (This hat has been a recent, cozy addition to my winter gear, and I also love this sweater). But they also offer wool work pants like this slim variety, cotton and silk shirts, and crisp work dresses. -All offices have different vibes. A few other places to browse for something that suits your style: Eileen Fisher, Ali Golden (made-in-the-U.S. basics that are versatile enough to dress up or down), and It Is Well LA. -Shoes: Good-condition secondhand shoes can be one of the hardest things to find. Everlane has beautiful leather loafers, mules, and heels at the moment, as does the Tennessee-based Nisolo (these perfect slip-ons have been on my wishlist for ages). I also like Fortress of Inca's leather booties and deconstructed oxfords. Anyways. Perhaps some work shoes to stalk on Poshmark, or to bite the bullet and just buy new. Have any working wardrobe tips for folks seeking to build a secondhand closet? Other topics you’d like to see tackled in this series? Previously in Secondhand Wardrobe: The opposite of workwear, and a deep dive into the online resources out there. Kicking off the new year with a discussion of a not-new wardrobe sounds pretty good to me. The nuts and bolts and behind-the-scenes of building a secondhand wardrobe is something I'm looking forward to talking about here in 2018. Everyone approaches secondhand shopping differently, but I've really gravitated toward purchasing secondhand items online. Online secondhand stores have a leg up on local joints in that they allow you to search more easily: rather than digging through racks of clothing in every style, you can simply search for the styles and brands you love and used to purchase new. ThredUp is one of my favorite online places to hunt for secondhand clothing. Folks send in their used pieces to ThredUp, which gives folks a payout for the clothing items before photographing, detailing them, and listing them for sale. The site allows you to save a list of your sizes and favorite brands, which makes it easy to check in every week or so to see what's new. The photographs of items are clear and well-lit, and measurements and condition details are provided as well, so you know what you're getting (though they offer returns, too). For an online retailer, their packaging isn't so bad, either; purchases come shipped in a cardboard envelope, with just tissue paper and a paper tag inside. If you want to try it out, here's a code for $10 off your first purchase on the site. Pictured here are two of my favorite closet staples from Everlane, purchased on ThredUp. Good for: Everything except smaller, independent brands. Since you can order multiple items in one go, it's a good place to stock up on basics if you need them: sweaters, t-shirts, exercise clothing, and more. Another site that allows you to easily search for clothing by your favorite brands, only on this site they're sold directly by individuals. I find that Poshmark often has items that are slightly more current than those on ThredUp, and that Poshmark tends to have a higher number of items from popular brands like Everlane, Madewell, and more. Since items are photographed in people's homes, I sometimes find myself getting overwhelmed by all of the options and unwilling to sort through hundreds of differently staged or poorly lit photos. But their search feature is really helpful, and you can put in as much information as you want or have: item names, brand names, sizes, or simply item types. You can also follow specific accounts, so when you find someone who routinely offers things you like, searching for your next piece becomes easier. If you're new to Poshmark, you can sign up here and use the code "litterless" for $5 off your first purchase. Good for: Everything, especially if you're looking for something very specific. Not as good if you need multiple items, since they'll all be shipped separately to you. I turn to eBay mainly when I have a specific item in mind. A dress I tried on at a store but couldn't justify buying new, something I loved on a coworker and wanted to shamelessly try to find myself, or an item from a smaller designer that I'd had my eye on and wanted to see if I could find it secondhand first. Though I don't always find eBay's interface to be the easiest or loveliest to use, I have a few favorite pieces that I've gotten from there that make it worth keeping on my list. Pictured above are favorite dresses by Dolan, Ace & Jig, and Steven Alan, all found on eBay. Good for: Everything, eventually, though you may have to be patient and keep checking back. Since you're buying directly from an individual seller, you can ask them to ship your package in upcycled, reused materials, if possible. Good for you vintage lovers out there. To make shopping for vintage clothing on Etsy easier, one way to approach it is to measure a few favorite items in your closet. What rise do you like your jeans to be? What length are the dresses you reach for most often? What is the sleeve length on the jacket you typically wear? Keeping these measurements jotted down somewhere handy can help you sort through the plethora of options and narrow it down into items that will fit how you want them to. Good for: Vintage, especially things from the 80s and 90s, like ever-popular vintage Levi's and Wrangler jeans. Plus, since you're buying from a seller, not a large company, you can easily include a note asking them to please ship your item without new packaging like tissue paper or a brand-new mailer. An online consignment shop, Slowre focuses on re-selling items that were ethically made in the first place. You'll find lots of smaller labels with a commitment to ethical manufacturing in some respect: maybe they produce their items in the United States, emphasize natural materials, or are made by hand. Signing up for the e-mail newsletter will help you call dibs on items as soon as they're posted. Good for: Small, ethical, or made-in-the U.S.A. labels, like No.6, Everlane, Tradlands, Eileen Fisher, or Zady. I've added links to each of these websites to my essentials page, so that you'll be able to find them next time you're hunting for something. You can also find more ideas for places to secondhand shop, including some tips for browsing in person rather than online, here. Previously in Wardrobe: An introduction to this series, and notes on letting clothing go. On Tuesday, I mentioned that I keep a running list in my head, or sometimes on paper, of things that I want or need to buy. It's separate from the more urgent weekly list of sweet potatoes, Tylenol, quinoa, greens, almonds. Instead, this other list goes something like: new sheets, black dress, new cover for sofa pillow, The First Mess cookbook?, sneakers, extra tote bag, alarm clock. In other words, though they might be things I need, they aren't things I need right now. The beauty of this second list is that it hangs out in my head for a long time, slowly getting crossed off as I find the right item, or deleted when I decide I don't need something after all. I'm not saying it's revolutionary to not buy something the minute you think of it, to instead wait and make sure you need it, to let it come to you in its own time. In fact, it's so not revolutionary that I've been doing this for a few years now without really thinking that it was an actual strategy. But, over lunch with a new friend today, we were chatting about all this, what happens when you don't buy something immediately. Turns out, I'm not the only one who thinks it can kinda lead to magic. -My friend wants some beeswax food wrap for her kitchen, and realized that her mom has some that had been sitting around for a year or so, and maybe she could see if it was up for grabs. -I'm slowly collecting bulk spice jars of a certain type so that my motley assemblage of spice jars can look more standardized (insane). This year, my mom and a friend have both had empties of the kind that I wanted and kindly passed some along. I could have bought some: instead, I waited it out. -My friend mentioned that she'd been wanting a new, heavier duvet for her bed (those Chicago winters though), but she realized that the one on her childhood bed would be perfect, so she'd wait to get one until she could get back home next. -I'd been idly wanting a soap dish for my kitchen for a few years, but never really getting to the point of needing one. My neighborhood has a sweet tradition where folks who are moving out leave unwanted goods on their stoops for others to scoop up. So, last night, I found my soap dish (and the white platter pictured beneath it, as well) on a moving neighbor's steps. Bingo. Two-year (very lazy) quest solved. By not immediately purchasing something when it first came to mind, we instead inadvertently gave ourselves space to find it in other, more interesting ways. Things came to us for free from family members or friends, from neighborhood stoop swaps, at thrift stores, cheaply. These methods all have the benefit of getting unwanted stuff to a good home - so much better than the resources required to manufacture a brand-new item. Waiting on a purchase can save money, it can save time (no more reading Amazon reviews: you just take the soap dish that fate deems right for you), and it makes you feel like the luckiest person ever when the right thing just happens to fall into your lap. Of course, you can up your chances for lucky finds by setting up stuff swap events in your community, checking a local Buy Nothing Group on Facebook, or routinely asking your friends if they want your nice things before you give them to a secondhand shop (chances are, they'll start offering back). And, of course, there are always purchases that will have to go on that immediate purchase list instead. Sometimes a new duvet is an immediate must-have purchase. I'd bet we all have stories like this. What serendipitous finds have come your way because you didn't purchase them first? Anything you're still hoping for? "Twenty-two, twenty-three, twenty-four, twenty-five...". Counting under my breath yesterday morning, I worked my way down my closet to make a note of how many of the items in it were secondhand, ethically made, or handmade, as a way to chart my progress on moving away from fast fashion. The verdict: just over half of my closet is comprised of secondhand items, and about two-thirds of my closet is in some way a secondhand or ethical purchase. If I'd seen those figures three years ago, I might not have believed them. Back then, I had the best intentions for shopping mainly secondhand, but I wasn't finding the things that I wanted to wear in the thrift stores I tried. I would read the stories of women who'd made the leap before me, women who said things like "I only buy secondhand clothing" or "I mainly buy secondhand clothing," and I would think, "But how???" Happily, I now find myself on the other side of the equation, with a comfortable routine for finding things I love on the secondhand market. Inspired by Slow Fashion October, a month of taking time to be thoughtful about stepping away from fast fashion - whether to secondhand items, handmade things, mended garments, or ethically or locally made clothing - I'm excited to start sharing more of my secondhand finds here, as well as thoughts on how to grow the percentage of your wardrobe that's secondhand, in a new series called "Secondhand Wardrobe." I hope to demystify the process a bit: secondhand shopping isn't just for people with heaps of time on their hands to browse thrift stores. It isn't just for folks who live in areas where the thrift stores are nearly as good as the regular stores. It isn't just for that mythical person who just has an eye for combining older items with new ones, who walks out of the vintage store in a leopard-print coat that should look terrible but somehow just doesn't. That person is decidedly NOT me - and yet, here I am, solidly in secondhand world. When I think about zero waste done successfully and well, I don't necessarily think about keeping trash to the bare minimum. Instead, really the crux of it is that all of our consumer choices need to be looked at more holistically. In other words, purchasing a cheap fast fashion t-shirt can be technically zero waste if you refuse the bag at checkout and recycle the paper tag. But in the true spirit of reducing one's impact, saving up for a higher-quality, ethically made piece, finding a similar t-shirt in a secondhand shop, mending the small hole in one you already own, or hosting a clothing swap with friends is another way to achieve the same end. That's not to say that I'm perfect at this, by any stretch. Two weeks ago found me hobbling around San Fransisco on blistered feet and dashing into a big department store to buy a more comfortable pair of sandals, provenance unknown. The jeans I wore on repeat this summer were white Levi's, not ethically made nor secondhand, and yet beloved nonetheless. I still own many items from that time, three years ago and before, when I was just beginning to look at what a slower approach to fashion might look like and thought finding what I needed secondhand to be nearly impossible. You might be at that point, too. But, that's always been the ethic of this space: start where you are, do what you can. Hopefully this series will give you some new tools to do so. If you have specific questions about secondhand or ethical shopping, I'd love to hear them (and take a stab at answers) in the comments below. Otherwise, this past post of mine on my method for secondhand clothing shopping is a good place to start. Back soon with more, on this and other things zero waste. Pictured above, two new-to-me (but not new), clothing items for fall. I probably don't need to tell you that secondhand clothing is typically kinder to the environment and to garment workers than clothing bought new (though if you want to know a little more of the story behind why, you can start here or with the documentary True Cost). I probably don't need to tell you either that thrift shops can lend themselves well to certain style sensibilities and not others. They've got all the plaid button-downs and oversized mens' sweater a girl could want, but what if a girl no longer wants plaid button-downs and oversized mens' sweaters? Years ago, I fell out of the habit of buying used clothing, because the pieces I was finding at stores didn't quite match what I wanted to be wearing. Over the past two years or so, though, I've found my way back to secondhand shopping, because I've figured out a few ways to make it work with my style, rather than trying to make my style work with it. Consider this a primer on secondhand shopping for those who dislike (or are stymied or overwhelmed or less than thrilled by or could use a leg up with) it. One thing to keep in mind here: Though the methods below are cheaper than straight up retail shopping, they're not always cheap. There are bargains to be found anywhere, of course, but the land of $2.99 secondhand buys wasn't cutting it for me anymore, and I would get discouraged by flicking through racks and racks of clothing without spotting anything I loved. With an easier time finding things your style comes a little bit of a higher price. I've found it to be doable and well worth the cost, but if not - keep doing your thing, and know I'm a little in awe of you, you amazing thrift queen / king. -Find your favorite thrift stores. If a particular store hasn't been a jackpot for you in the past, you're not obligated to keep going back. (This sounds obvious, but took me ages to start to practice). There's always the fear that you'll miss finding the perfect thing, but if the clothes just tend not to be your style, you probably won't. My thrift shopping has gotten happier since I severed ties with the Goodwill clothing aisle. (Goodwill kitchenware, however, is another matter). -Look for curated secondhand stores. Stores that buy or consign clothing in lieu of taking donations are typically pickier about what they accept. Search around for "consignment," "secondhand," or "recycled fashion" spots in your neighborhood, and when you find one that seems to fit your style, stick with it. They're typically more expensive than charity and donation shops, but that makes sense, because they've done some of the hard work for you. A few chains I like near me: Crossroads & Buffalo Exchange. If you have other regional faves, pop them in the comments below! -Swap with friends. I always though this sounded a little bit like a magazine ideas that you'd bookmark but never do. Well, proving my own self wrong, friends and I met for a little swap in February, and now I love seeing my friend Alaina rocking the red plaid Madewell shirt I never got around to wearing. -Browse secondhand-only sites. I've found good things on ThredUp (here's a $10 off code if you'd like to sign up! ), which lets me save my sizes and preferred brands so that I can just drop by the website once a week or so for a quick glance through pieces that might interest me. A Madewell chambray shirt, J. Crew silk dress, and a few cute t-shirts have come my way via ThredUp. Other online stores to try: Poshmark, Slowre (all secondhand & ethically made! hat tip to Fairdare for that one), and TheRealReal. -Search Instagram. You can buy directly from individuals via accounts that accept and post submissions. The accounts I keep an eye on are @noihsaf.bazaar, @thegeneraleconomy, and @aceandjiglove. The clothing listed on these three accounts isn't always inexpensive, but they're things I might have bought anyway (or lusted after to no avail), and I'm happy to have the chance to buy them secondhand. Both of the pieces pictured above - an Everlane silk dress and Elizabeth Suzann silk tee - were special pieces purchased secondhand on Instagram. Weirdly, it might be where I buy most of my clothing these days (including the Madewell satchel featured in this post). 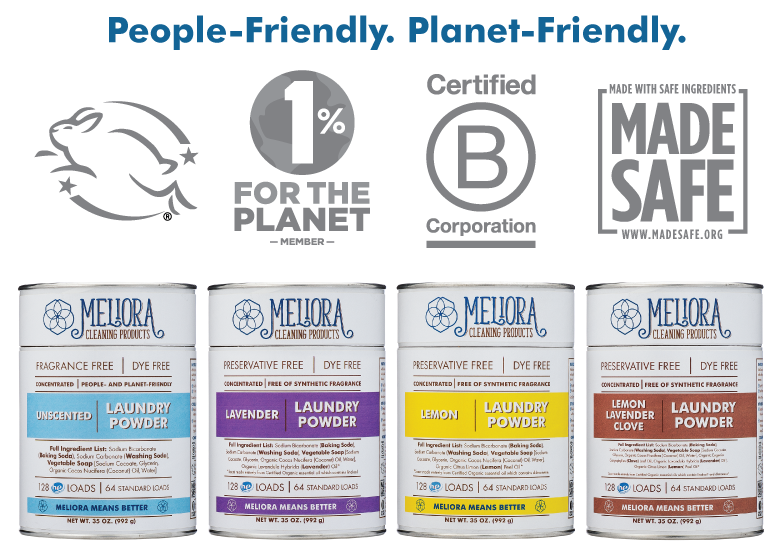 These accounts make it easy to stay zero waste, too, because you're buying directly from someone - I always ask sellers to use whatever old, used packaging or boxes they have lying around. A few other accounts to search for are Noihsaf Vintage, Na Nin Vintage, and Persephone, and you can always just browse the hashtag #closetsale, too. -Use eBay. I don't find eBay incredibly easy to use (anyone else?). But, there are so many things on there, and using really specific searches can turn up items you've wanted, maybe even that are still in stores. If you're truly looking for secondhand only, avoid "NWT" or "NIB" (new with tags and new in box), although sometimes I still technically consider those offerings "seconds," too. Favorite eBay find of mine: a navy blue silk Steven Alan dress for $26. Thank you, eBay. -Etc. Just like Goodwill isn't my jam but works so well for other thrift mavens, you can find your own little corner of the internet that is your thrift shopping paradise, too. Maybe it's browsing vintage goods on Etsy, or an email thread with your friends where you post pictures of clothing you don't want anymore, or the online secondhand section of Eileen Fisher, REI, Patagonia, or Over the Ocean (for kiddos). Or, maybe it's off the internet, at garage sales, a favorite neighborhood store, wherever. Once you've figured out your niche, haunt that thing like none other. If you're looking for another perspective, a few of my favorite thrift shoppin' bloggers talk about how they approach shopping secondhand: Fairdare, Paris to Go, & Synchronized Swim. And, if you love peeking at what other people have bought secondhand for inspiration (who doesn't? ), here's a sampling of pictures from friends of mine: Elizabeth, Laura, Bailey, and Ashlee. So, good things are out there, go find them! And I'd LOVE to hear how you find secondhand clothes these days, and what have been your favorite places to check out, too.